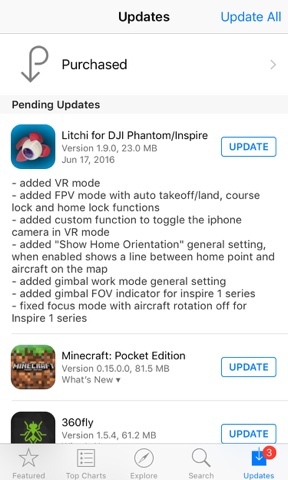 The popular Litchi app for the DJI Phantom 3 and Phantom 4 added a VR FPV mode to its iPhone version! With this mode, you can use a Google Cardboard viewer to get a first person view from the drone’s camera, making it feel as if you’re flying! I havent tried the app myself yet but it appears that turning your head will also control the camera. The FPV mode had already been implemented in the Android version of the app.